Signing up for a credit card after bankruptcy might sound like an unwise financial move. But, it's not. If done right, having a credit card could actually help boost your credit score and improve your financial situation. 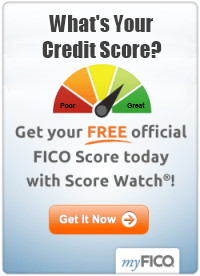 No doubt your credit score took a severe hit after you filed for bankruptcy. While the bankruptcy remains on your credit file, it will be difficult to "move the needle" to credit worthiness. Yet, you can make meaningful progress and gradually improve your credit score if you make timely credit card payments for several years. It’s better to start rebuilding your credit right after bankruptcy than it is to wait 7 to 10 years because older accounts tend to help your credit score more than recently opened ones. Your credit score will improve significantly once the bankruptcy is removed from your credit reports if you have several years of on-time payments under your belt. If you decide that you’re ready to get a credit card, shop around and compare your options to find the best card for your needs. Try applying for a credit card just once because each credit card application has the potential to lower your credit score. While you can apply for both unsecured and secured credit cards after bankruptcy, unsecured credit cards for which you may qualify come with extremely high interest rates and annual fees. Using a secured credit card is the best way to start over after bankruptcy. Secured credit cards are easier to get because you give the bank money to hold and the bank gives you a credit limit that equals that amount. For instance, if you give the bank a $1,000 deposit, your secured credit card will have a credit limit of $1,000. When shopping around for a secured card, be sure to look for one that reports your payment history each month to all three credit bureaus – Equifax, TransUnion and Experian. If a card issuer does not send monthly reports to these bureaus, the card will be useless for helping to rebuild your credit. Look for a secured credit card that has no application fees, annual fees of $50 or less, and preferably, an interest-bearing account for your deposit. For more on comparing different credit cards, click here: credit card after bankruptcy. The key to success when getting a credit card after bankruptcy is treating the credit card the same as cash, check, or a debit card. In other words, don't buy things you can't afford and always have the cash available to cover the full cost of the purchase. Consider your secured credit card as a tool to credit freedom in the future – and not a vehicle for spending extra money today. Make sure you always pay your credit card bills on time because your payment history makes up approximately 35% of your credit score. Always pay the full amount that is due so you never half to incur the extra cost of interest, which can continue to add up month after month. In addition, keep your balances low, using only 10 to 15% of your available credit. For example, if your credit card has a limit of $1,000, charge only $100 to $150 per month. Then, pay the balance in full before the due date. If you’re in the process of a bankruptcy filing, don’t apply for a credit card until your bankruptcy is discharged. 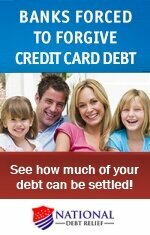 Taking on additional debt while your bankruptcy is in process could be problematic. Responsibly using a credit card after bankruptcy can help you improve your credit score, but it won’t happen overnight. Be patient. Diligently follow the tips above to build a brighter financial future.